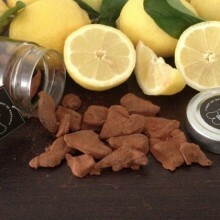 A perfect combination between the taste of oranges and lemons from l’Hort de la Muntanya and the best chocolate! 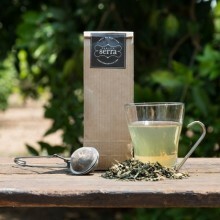 The delicacies are made with freshly picked fruits from the fields of our farm l’Hort de la Muntanya. 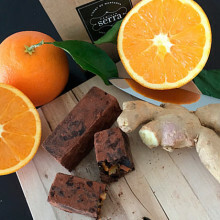 We boiled the orange and lemon peels for a long time on low fire and after that we baked them and finished with giving them a bath of pure chocolate what makes it a superb delicacy. 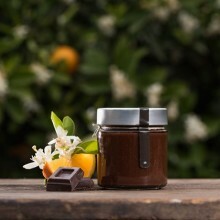 You can enjoy both our orange and chocolate delicacies and our lemon and chocolate delicacies. 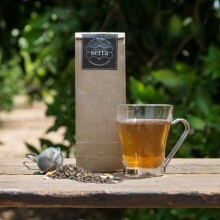 Every jar contains 110 grams of delicacies. 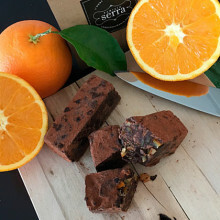 The chocolate with orange jam is homemade with oranges of our farm l’Hort de Muntanya, picked in their ideal moment of ripeness. 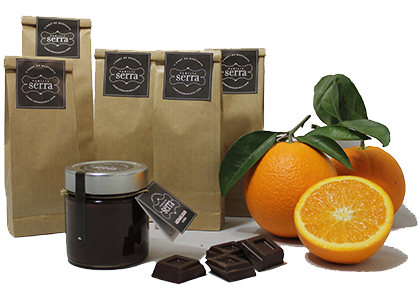 Made with natural oranges, our jam is the perfect food for chocolate lovers who want at the same time something homemade and natural. Furthermore, it has a very high content of fibers. Perfect with a couple of toasts every day! 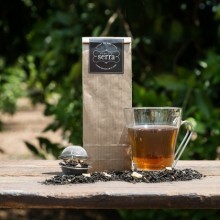 We also offer teas with orange and chocolate (100gr). A totally natural product, highly beneficial for the body. 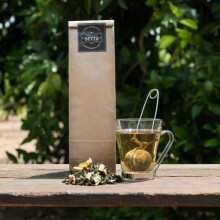 The combination of tea and citrus fruits results in a perfect blend for tea and fruit lovers.